Your challenge in the AWA section is to pen down 2 essays of roughly 500 words each, in just an hour! While most of you might think that writing is a difficult task, it's trying to figure out exactly what and how to write that really poses the problem! An essay that is well-organized not just helps to provide a coherent view on the topic, but is easier to read as well. In order to write a convincing and logically-sound essay, the writer must organize the entire content into readable blocks of text, and this is where essay templates come to your rescue. 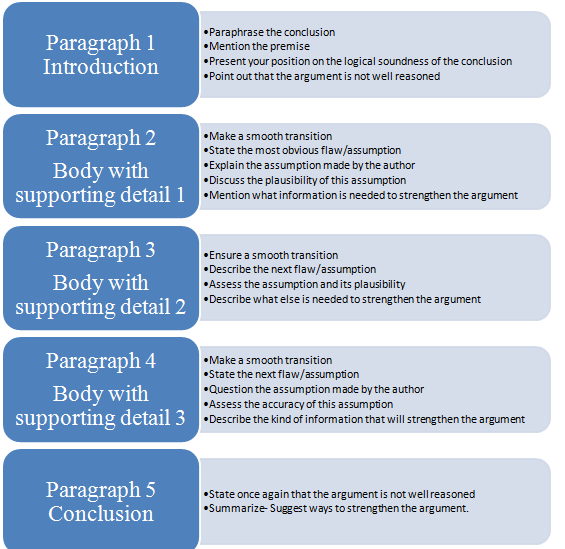 Typically, both essays should use the “Introduction-Body-Body-Body-conclusion” structure. 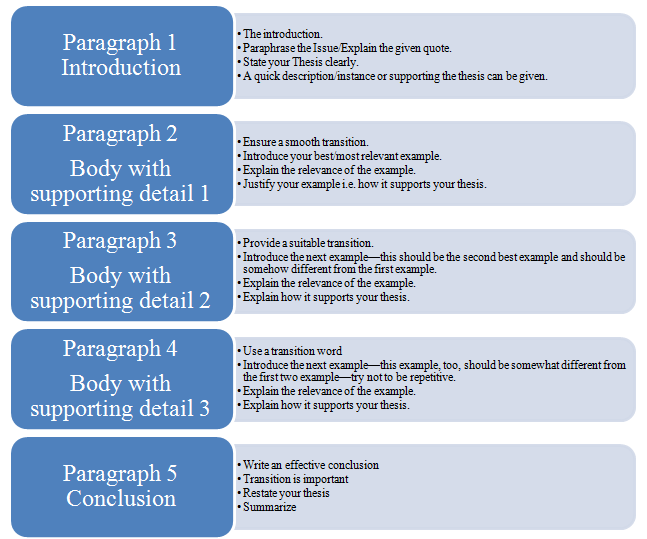 Essays that are awarded perfect scores usually have five paragraphs with substantial examples fitted into the body paragraphs. An effective issue essay will present an insightful take of the given topic, along with compelling reasons or persuasive examples. In a good essay, ideas flow effortlessly and are connected logically. Being the first part of your essay, your introduction should clearly establish the topic of the paper and preview both sides of the issue at hand, laying the foundation for the subsequent part of your essay. Remember, a good introduction presents a clear thesis. The body of the essay is the most significant part where you present your arguments and support them with relevant examples. A good body paragraph must transition smoothly from one idea to another by presenting examples in support of each idea. It is not enough to simply state the example. You have to explain how the example supports the thesis. State the main idea of the paragraph in one sentence called the topic sentence. Construct sentences that develop or explain the main idea. The topic sentence can be developed by providing relevant evidence, details or examples. The concluding sentence clinches the point made in the paragraph. "True beauty is found not in the exceptional but in the commonplace." Write an essay in which you take a position on the statement above. In developing and supporting your essay, consider instances in which the statement does and does not hold true. Beauty, by definition, is the state of possessing an aesthetic appeal that moves us or impacts us significantly. Some would argue that beauty is found everywhere, from the flowers to the stars. But others would state that true beauty is found only in rare, special instances. After weighing the evidence, it is certain that beauty is the province of the exceptional, not the commonplace. People are moved most by things that they rarely experience, not the things they experience every day. Those that would argue that true beauty is everywhere might point to the beauty of a flower, or the starlit night. These experiences are certainly common, but do they show that true beauty is commonplace? Flowers might be considered beautiful, but how often does a person stop to look at or appreciate every flower? Flowers are so common, that in many cases, they are ignored or viewed as extremely mundane objects. However, on certain rare, or exceptional occasions, such as when commemorating an event or expressing emotion, we notice the beauty of flowers. Thus, one can safely conclude that it is not the commonplace flower that strikes us as being beautiful, but rather, the exceptional situations that move us to take note of, and appreciate the flower's beauty. Now consider the exceptional. Leonardo da Vinci’s Mona Lisa is surely one of the most exceptional, and beautiful paintings ever created. Few people who view the painting are not moved by the sheer beauty of it, and the Mona Lisa is instantly recognized as a masterpiece of art. Yet, there have been literally millions of paintings produced in human history. Is every single one of them equally beautiful, or even capable of evoking the same feeling of awe? Does every one of those paintings have the impact that da Vinci’s does? Of course not! In order to find beauty, we must demarcate the exceptional from the commonplace. True beauty exists for the sole reason that it stands out from the masses of the average and pedestrian. Like da Vinci's Mona Lisa, the cathedral of Notre-Dame in Paris is an exceptionally beautiful work of architecture. Churches and cathedrals line the streets of most major cities in Western Europe, but very few are as renowned as Notre-Dame, one of the most beautiful cathedrals in the world. Compared to a common church or cathedral, the Notre-Dame is truly awe-inspiring; Victor Hugo used the building as the backdrop for his magnificent book 'The Hunchback of Notre-Dame', and thousands of tourists travel untold miles to view the cathedral. That sort of beauty is not possessed by just any church on the corner. In conclusion, it's clear that true beauty is found not in the commonplace, but in the exceptional. The Mona Lisa and Notre-Dame Cathedral are both exceptional examples of fairly commonplace things and it is these exceptions that are noted as truly beautiful. If anything, the commonplace serves only as a contrast so that we can understand what true beauty really is. We hope you found this article helpful, and wish you the very best on your journey! To take a detailed look at some sample Issue and Argument essays, click here. 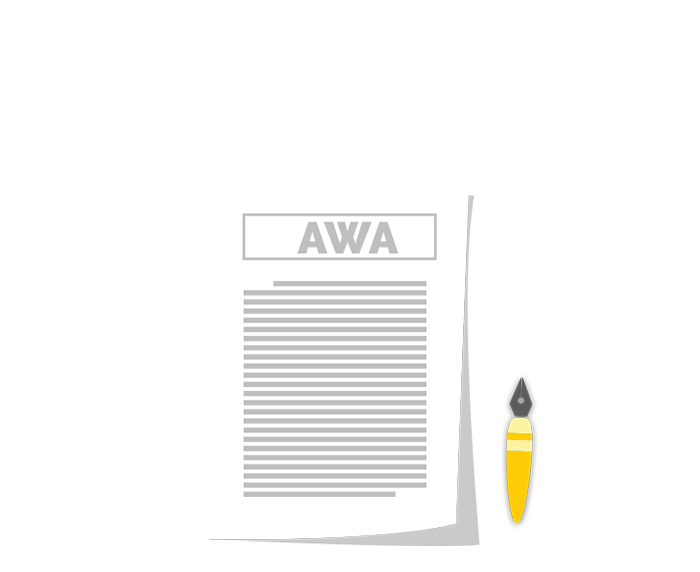 Download the free GREedge guide to effective AWA writing for a perfect score now!